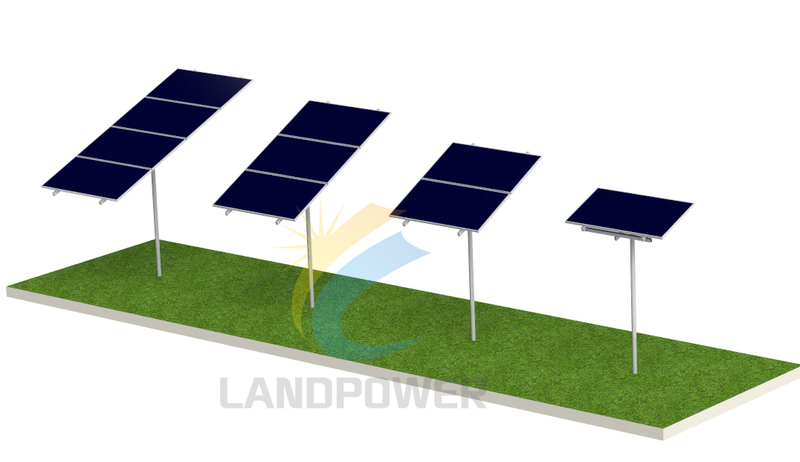 Landpower Aluminium Portrait Ground Mounting System (Almost 100% of solar rack components are made of Aluminum ) is equipped with components which made of aluminum for mounting on concrete strip foundations or ground screw. This system highlight quick installation, delivered by preassembled parts, it highly minimized the installation processes. 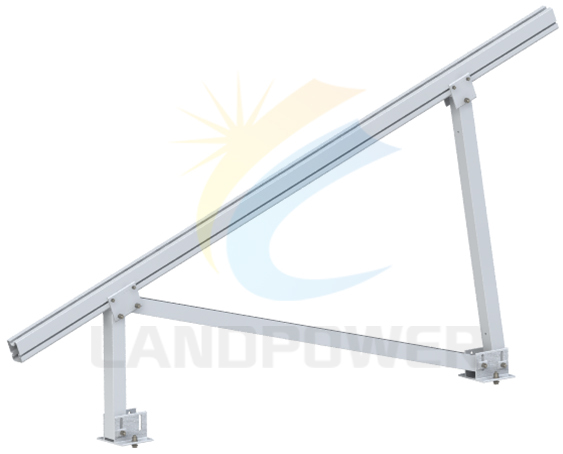 It provides a strong and sturdy mounting structure that is suitable for use in high wind and snow load environments. 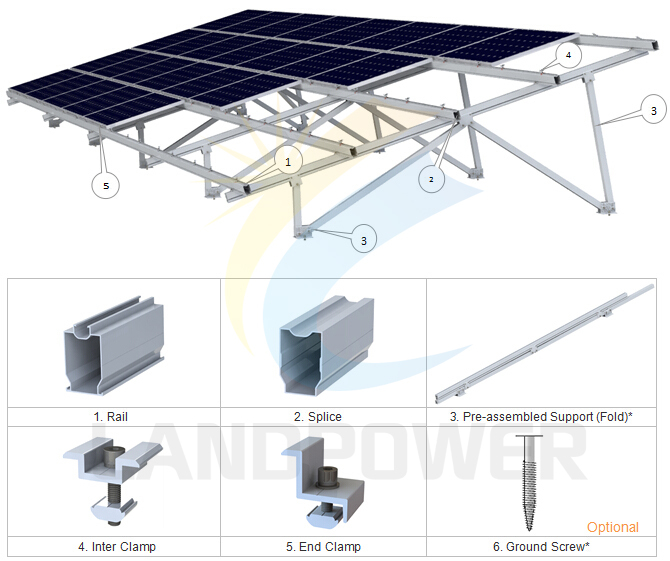 Most of parts is pre-assembled, especially the supporting leg, together with feature of tilt-in T module design, the system dramatically reduce the installation processes onsite. This system not only can be installed on ground screw for standard circumstance but also installed on concrete foundation for tricky terrain like soft or rocky ground. The mounting structure is a cost effective mounting solution. 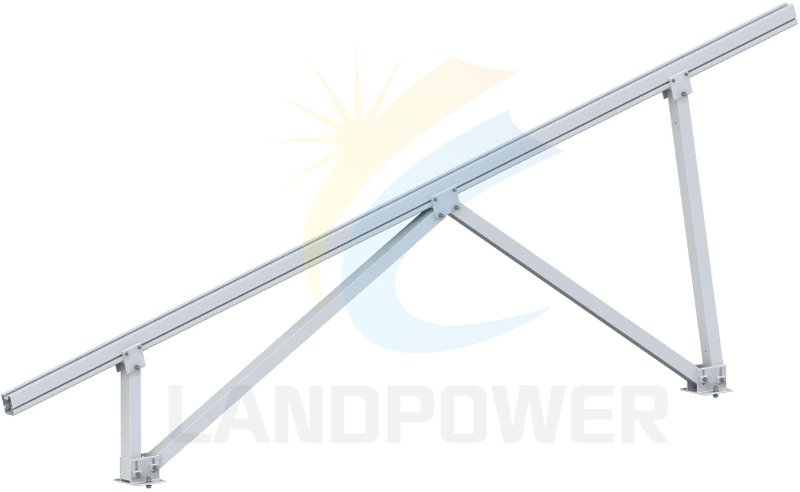 Long rail spans reduces the number of necessary supports and foundations, which also reduces the material cost. The quantity of components can be required and sold according to project specific calculations. The various components can be kept in stock to shorten time between planning and installation. 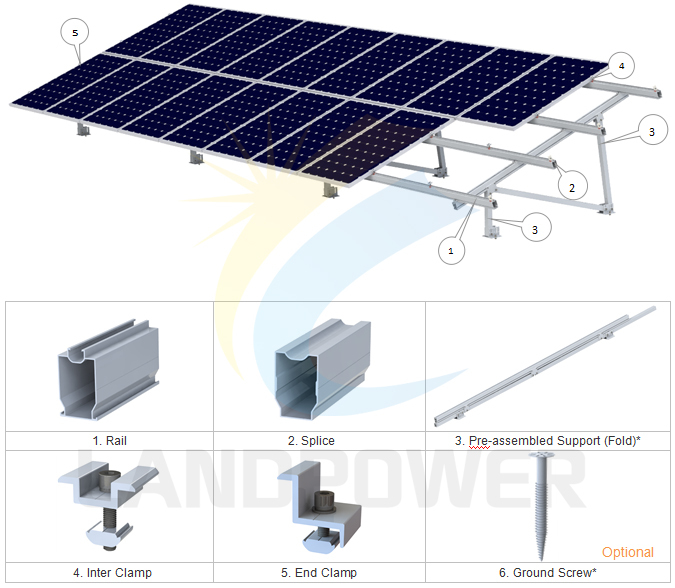 All mounting structural components are made of high anodized aluminum alloy, their high resistance to corrosion and complete recyclability, they are designed for twenty-year service life and backed by ten years warranty. Please click here for the PROJECT REFERENCE!!! 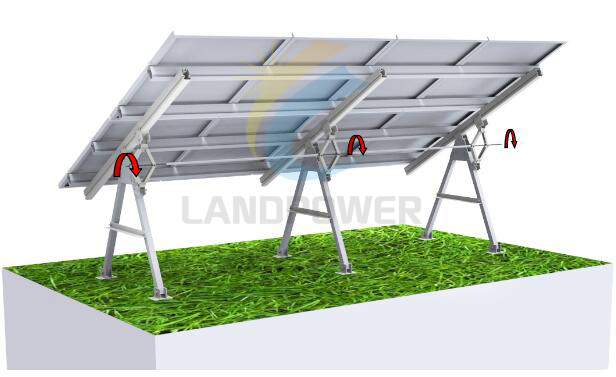 Landpower Aluminium Landscape Ground Mounting System (Almost 100% of solar rack components are made of Aluminum ) is equipped with components which made of aluminum for mounting on concrete strip foundations or ground screw. This system highlight quick installation, delivered by preassembled parts, it highly minimized the installation processes. 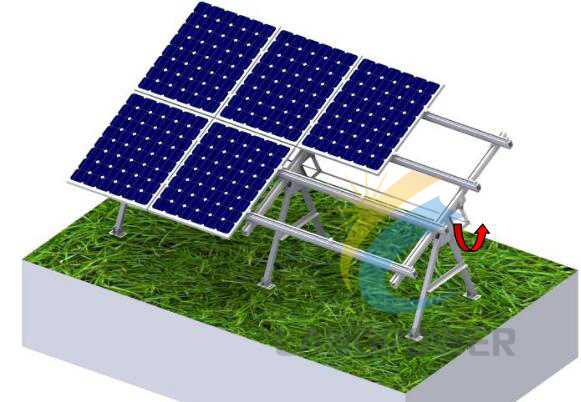 It provides a strong and sturdy mounting structure that is suitable for use in high wind and snow load environments. Please click there for the PROJECT REFERENCE!!! 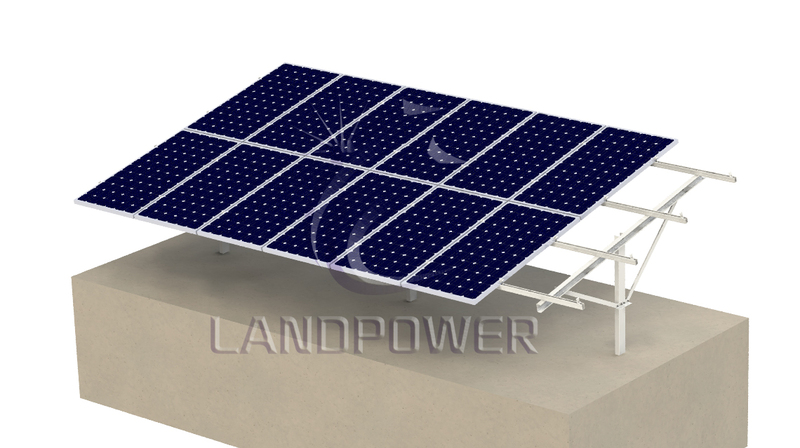 Landpower Steel-Strong Solar Ground Mounting System is applicable to a large array photovoltaic system in open terrain. This system is designed to engineer with a minimum amount of installed footing at greatly reduces labor. As the difference foundation solutions, such as concrete with pre-buried bolt, direct buried and ground screw, the system can be modified to be installed. 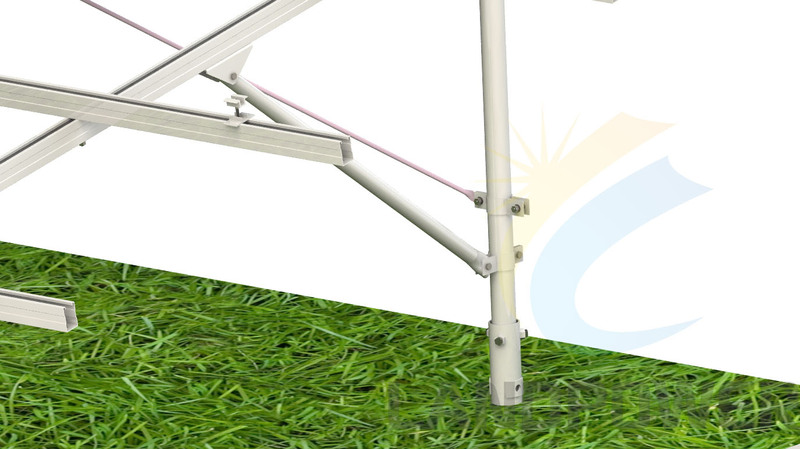 The special tilt-in module, the clamp and the U-bolt make the installation easy and quick. The customized length can eliminate the weld and cut onsite to keep the high anticorrosive performance, the structure strength and the appearance. The tilt-in T module can be put into the extruded rail from the any location and can be highly pre-assembled with the clamp and L bracket ensure a fast and easy installation process. 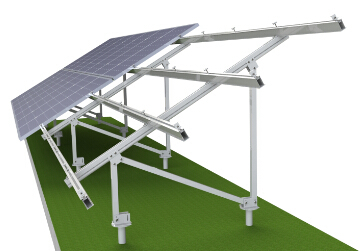 The PV mounting system is designed to stand up to the extreme weather complied with international structure load standard by the skilled engineer. The main support components also have been test to guarantee. Its structure and load-carrying capacity. pole. The racking is strong and cost-effective which adaptable to most terrains. All mounting structural components are made of high class hot-galvanized Q235 steel and anodized aluminum components, their high resistance to corrosion and they are designed for twenty-year service life and backed by ten years warranty. There are just seconds to ram a pile,quite fast to install the solar farm! 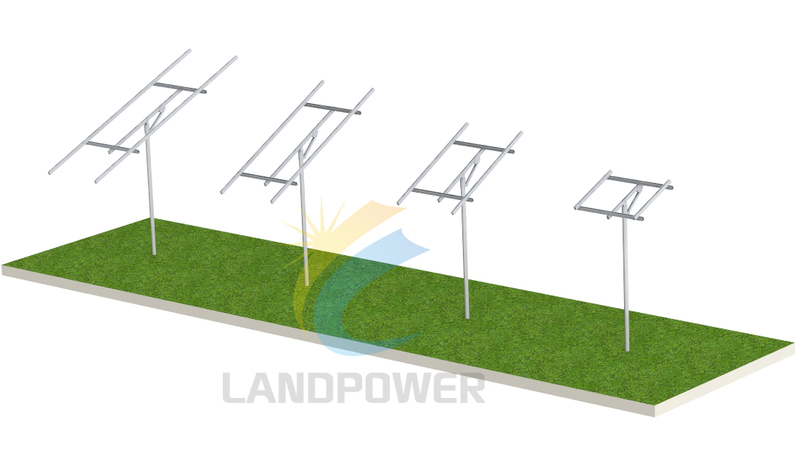 Landpower Solar Pole Ground Mounting System is ideal for installation with little space,when shading is an issue, it is also applicable to a large array photovoltaic system in open terrain. 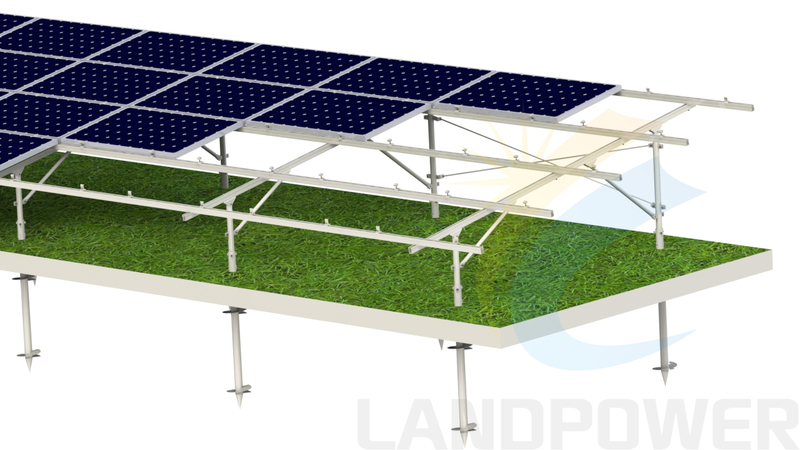 This system is designed for seasonal adjustability which can be operated by a single person,this allows the system to quickly make seasonal adjustments to gain all the efficiency and power production of a motorized tracker without the added expense. minute to adjust your ideal angle(from 0- 60 degree). it is easily to achieve changing the angle by one tool of Handle with torque less than 10 N.m.